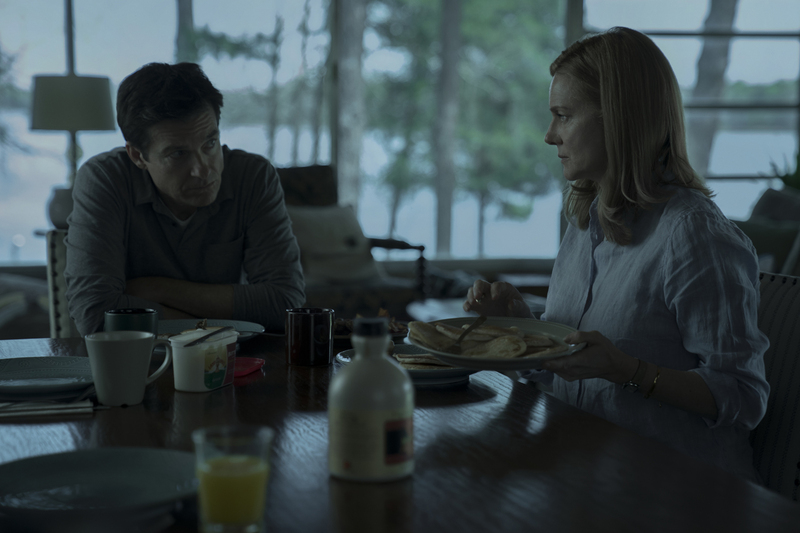 The recently released Season 2 of Ozark is darker and almost more captivating than the first. Not only does a central character meet their demise (albeit timely), but others are blackmailed into silence, and waterboarded into loyalty, as the Byrde family struggles to keep their own heads above water and away from the wrath of the Mexican cartel. Marty (Jason Bateman) and company continue with their plans to launder the cartel’s money, by creating a brand new casino in Ozark-land. This is met with resistance from local government representatives and other residents of the area, but with mounting pressure from the Mexicans, and their lawyer (Janet McTeer) keeping a close eye on the family’s movements, the family must each play their part in securing the Ozark’s money-laundering floating casino and hotel resort. The storyline continues, as does the chiaroscuro appearance of shots, partially hiding the characters in shadows and low lighting throughout the newest ten episodes. Through its lack of light, the show makes an attempt to add depth to a “shallow” crime drama, as well as making its audience turn screen brightness up to the maximum to see what is happening in its scenes, for both interior and exterior shots. Much like the Byrdes are attempting to hide their connection to the cartel, and hope to go under the radar when FBI agents are crawling around their house, and the Snells hope to keep their cocaine production concealed from the ongoing investigation, and the Langmores living off the beaten track in their trailers, the series cinematically attempts to pull its viewer into the darkness of Ozark and hide in the shadows, fearful of Mexican retaliation and FBI arrests.